This Situation Update describes events occurring in Kyainseikgyi Township, Dooplaya District during the period between July and August 2017, including a violent threat incident, land disputes, development projects, education, livelihoods and healthcare. On July 15th 2017, in B--- Village, Noh Ta Khaw village tract, a drunken Karen National Union (KNU) forestry area administrator named Saw Nay Htaw threatened to shoot civilian Maung A--- after falling off of Maung A---‘s motorcycle. Naw Eh La Htoo, who lives in D--- village, Kyainseikgyi Township, Dooplaya District, sold locally-used land illegally, without possessing land titles. On February 12th 2017, after she illegally sold land to Saw E---, villagers and village leaders reported the case to KNU Township level leaders and are currently trying to resolve the dispute. Educational challenges in Kyainseikgyi Township include a shortage of available teachers, tension between Karen and Burma/Myanmar government teachers and the inability of some students to continue their studies in Burma/Myanmar government schools. Several villages in Kyainseikgyi Township report limited support for local development projects and request greater financial and material support to implement local development projects. The following Situation Update was received by KHRG in August 2017. It was written by a community member in Dooplaya District who has been trained by KHRG to monitor human rights conditions. It is presented below translated exactly as originally written, save for minor edits for clarity and security. This report was received along with other information from Dooplaya District, including one other situation update, one incident report, 27 interviews, 68 photographs and one video clip. This Noh T’Kaw [Kyainseikgyi] Township, Dooplaya District situation update describes the period between July 24th 2017 and August 4th 2017. The report describes an incident in which a Karen National Union [KNU] forestry administrator threatened a villager, a land dispute, school construction, road construction, villager livelihoods and healthcare. 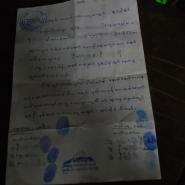 On July 24th 2017, I [KHRG researcher] received information regarding an incident between a villager and a KNU forestry administrator on July 14th 2017 in B--- village, Noh Ta Khaw village tract, Noh T’Kaw Township, Dooplaya District. The incident started when a drunken Karen National Union area forestry administrator (of an unknown area) in Noh T’Kaw Township and his sober forestry administrator colleague entered into B--- village and asked the villagers to take [drive] them to his [the KNU forestry administrator’s] village. Along the route, the drunken KNU forestry administrator fell off the motorcycle and hit the ground so he accused the villager driving him to his village, Maung A---, of making him fall. The KNU forestry administrator then attempted to point his pistol at Maung A---’s head and shoot him. Fortunately his bullet and pistol barrel unexpectedly fell to the ground and his colleague then stopped him from shooting the villager. The perpetrator’s name is Saw Nay Htaw. Villagers fear him as a result of this incident and because his position as a forest administrator gives him power. The victim, Maung A---, is a mature 17 year old non-ethnic Karen. Instead of heavily punishing the forest administrator, he [Maung A---] requests instead that people [authorities] teach him [the forest administrator] to learn from his mistakes so that he will not abuse his power again. On July 24th 2017, I [KHRG researcher] received information about a land dispute in D--- village, Noh Ta Khaw village tract, Noh T’Kaw Township, Dooplaya District. On February 12th 2017, Naw Eh La Htoo sold land to Saw E--- for 1,800,000 kyat [US$1,318.89]. However, this land was sold illegally because Naw Eh La Htoo did not possess a land title for the land. Naw Eh Lah Htoo has sold land illegally like this multiple times; however, as her son is a Karen National Liberation Army [KNLA] soldier, villagers have not previously attempted to stop her. [On February 12th 2017], she told Saw E---, “I will sell this land to you for 1,800,000 kyat [US$1,318.89].” Saw E-- replied, “I don’t feel confident about buying your land because it is in the village [the land is community land].” She replied, “You don’t have to worry about anything; I will be responsible for any problems that might arise. So just buy this land”. Therefore, Saw E--- paid her 1,800,000 kyat [US$1,318.89] for the land and then paid 200,000 kyat [US$146.54] to workers to clear the vegetation from this land. In total, the amount of the money that he spent was 2,000,000 kyat [US$1,465.38]. 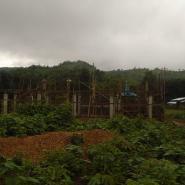 The villagers and village leaders reported this case to the KNU Township level leaders because the land that was being sold is community land. As Naw Eh Lah Htoo couldn’t solve this problem [did not have enough money to repay Saw E--- after KNU Township level leaders decided that the land sale was illegal] Saw E--- seized Naw Eh Lah Paw’s motorcycle and tractor as debt [with the support of the village community]. Villagers from T’Kha Khee village reported that although some development projects are two thirds funded in 2017, local civilians request more community development projects such as an electricity [project] which began [construction] in July 2017. 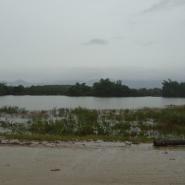 Some villages in Noh T’Kaw Township, Dooplaya District are unable to access any support and development projects in order to develop their villages. These villages include T’Poh Poe Hta, Ya Moo Hta and Ya Ther Ta villages, Noh Taw Pla village tract. 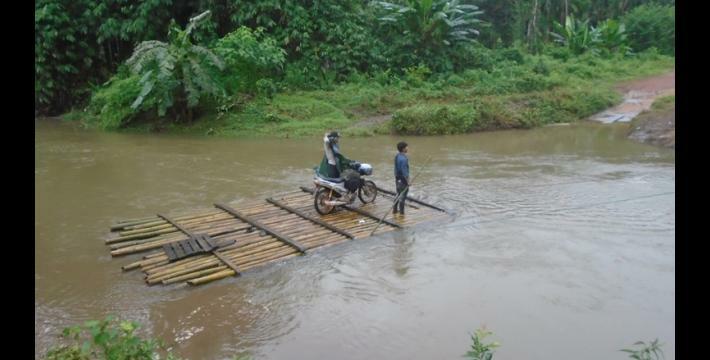 Some villagers in Noh T’Kaw Township, Dooplaya District face transportation challenges during the rainy season because there is no bridge [to cross the river] from Noh Taw Plah village and Meh K’La village to other villages. 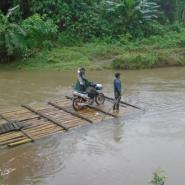 There is a bridge across the T’May Klo river in Chaw Wa village, T’Hka Klo village tract, Noh T’Kaw Township, Dooplaya District. 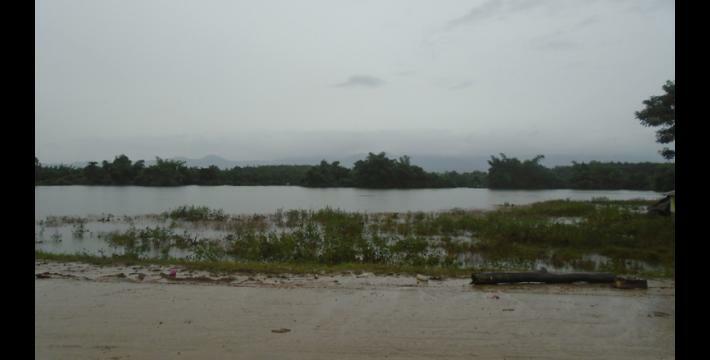 There was major flooding during the period between July 25th and 29th 2017 so some villagers who live close to the T’May Klo river lost their pots, plates and other [kitchen materials] in the flood; the flood also impacted [damaged] their paddy fields. Some villagers in Noh T’Kaw Township, Dooplaya District who work on plain farms face the problem of birds eating the paddy seeds that they planted on their fields. Furthermore, flooding [between July 25th to 29th 2017] damaged their paddy plants so they had to replant paddy. Also, some villagers who work on hill farms face the problem of insects attacking their paddy. Villagers from Noh T’Kaw Township, Dooplaya District reported to me that education and healthcare is very important to them. Many villagers reported that schools and hospitals are their highest priority. There are four new school buildings in Noh T’Kaw Township, Dooplaya District in 2017. 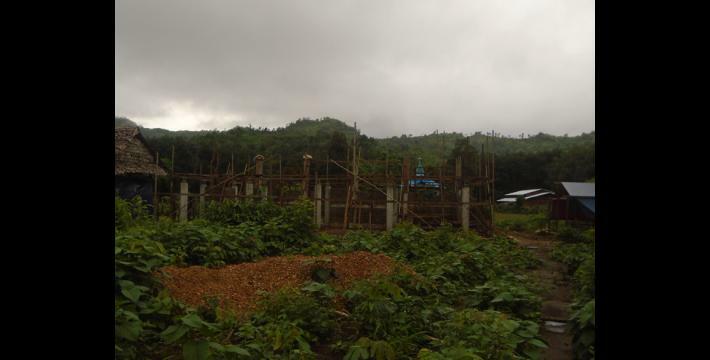 There is one new school building in Ka Lee Khee village, one in Htoe Khee village, one in Th’Waw Poe village and one in Plaw Hpa Htaw village. Some of the buildings are finished, but some are not finished. They do not have enough teachers so they request either the KNU or the Burma/Myanmar government Education Department to provide more teachers for them. Some villagers from Noh T’Kaw Township, Dooplaya District face education challenges. 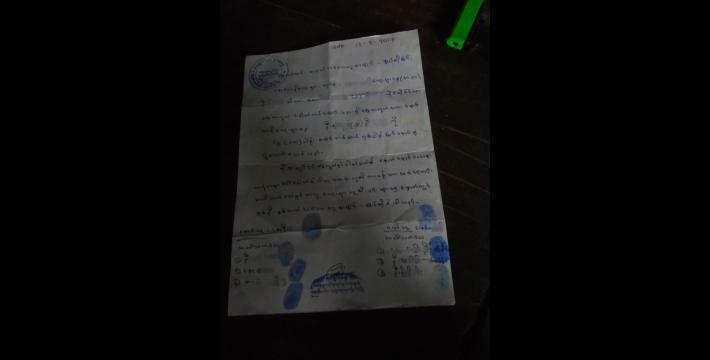 The G--- village head reported to me, “There are four children from G--- village and one student from H--- village who finished Standard 4 [from their villages] and cannot further their study [advance to Standard 5] because they don’t have Burma/Myanmar government school recommendation letters. As a result, the Burma/Myanmar government school teachers did not allow them to attend Standard 5. KNU schools allow students from any schools to advance to the next Standard.” There is also some tension because the Burma/Myanmar government teachers want the Karen [KNU] teachers [to be under their control].